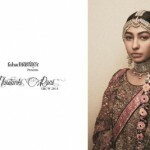 Fahad Hussayn had took part in Telenor Bridal Couture week 2014 with a fairytale of folklore or ancient story of Multan and Derawar. 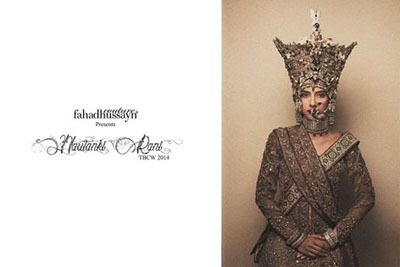 His Bridal Collection at TBCW-2014 was titled as “Nautanki Rani”. 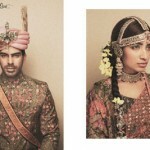 which was presented to revive traditional that never seen before on runway. 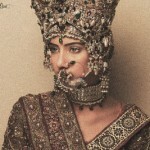 Fahad Hussayn couture had composed legendary theme for bridal wear and applied all key elements. He had received big applause for his unusual and sensational drama and magical designs. 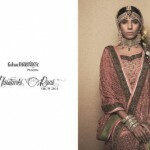 Indeed, His bridal wear 2015 are praise-worthy, if you don’t believe then checkout yourself.e A Look ……..